Lama Fera is a powerful healing modality by which any kind of Negativity, Black Magic, Spell, Entities, Karmic Blockage, Critical Illness, Financial Blockage can be removed. The main cause of suffering according to LAMA FERA is the ignorance of the soul. And main purpose of LAMA FERA is the soul realisation. When the soul decides to overcome the ignorance with the power of Buddha, Sangha and Dhamma healing starts instantly. Healing happens within a fraction of second. The Main purpose of LAMA FERA is to create a balance in body, mind and soul level. Lama Fera is an extremely efficient healing technique to remove the pressure of negative thoughts and increase the Pranic Energy, which helps in re-construction of damage cells and starts Auto Healing System of the body. Best for Mercy Death for last stages Patients or Old Aged Person. Deepika Taneja is a well-known Tarot Card Reader, Reiki Grandmaster, Numerologist, Lama Fera Master and Angel Therapist; based out of Pune. A very talented person who has dedicated her life for the well being of the mankind, Deepika is also a medium between the Angel-World and the Human-World. Attuned with ArchAngels, Spirit Guides and Accesendant Masters, she also trains people who are interested in learning spiritual healing modalities. Deepika started her Tarot journey in 2013. Since then she is accurately predicting others potential future. 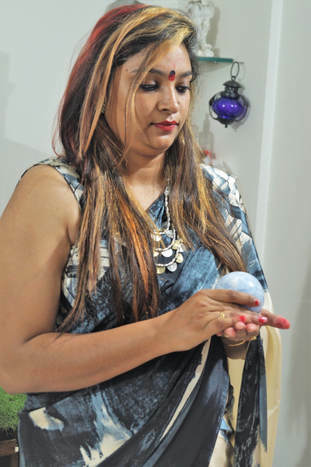 Apart from card reading, she has hands-on experiences in other healing methods too. With the help of the divine angels, she uses her psychic power to heal and re-balance peoples body and emotions through Angel Therapy. Additionally she does Automatic Writing too. 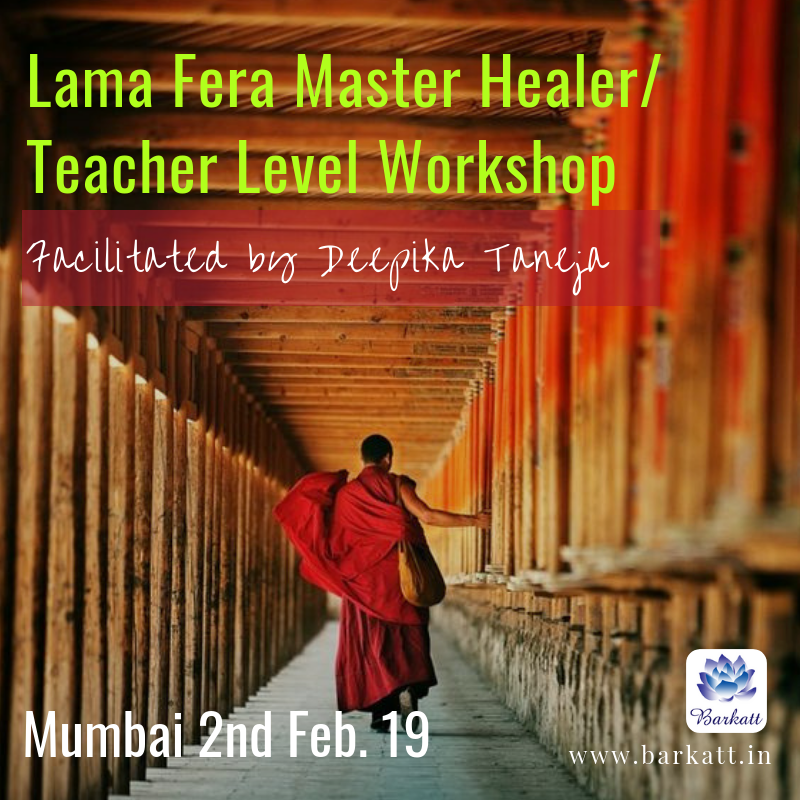 Deepika Taneja is also an expert in Lama Fera healing, Chakra Cleansing & Balancing, Candle Magic, Candle Wax Reading, Reiki, Relationship Healing, Negative Cord Cutting and various Spells & Rituals. A lot of her clients got benefited with the rituals and spells done by her. Aura Scanning and Cleansing is another feather on her crown! With the help of Arch Angel Michael and others, she heals her clients by cleansing their aura. The name of her institute is Mystic Lightpath. Apart from healing and card reading, Deepika also teach these modalities to her students. She takes classes in person as well as online. Moreover, she keeps on conducting various workshops related to diverse techniques. Having had a strong deep urge to know the mysteries of the unknown I entered the world of Metaphysics 8 years ago. My search led me to the realms of Clinical Hypnotherapy, Past Life Regression , Radikall Healing, Aura Photography and Reading, NLP, Sound Therapy, and Louise Hays Heal your Life modalities.Words just wouldn't be enough to describe the absorbing and fascinating journey of my personal inner and emotional growth, while touching and transforming the lives of so many others at the same time. You too can come to me for the resolution of your problems - be they physical,emotional, or spiritual. I am here to help you solve them for your better future. ​​ To know more about Deepika Taneja click here.